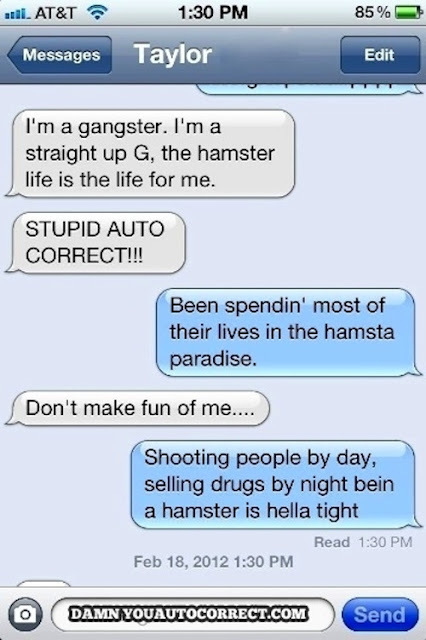 This compilation article of the 25 funniest auto-correct fails of 2012 is so funny that you should not read this at work unless you are either alone, or your coworkers already think you're sane. Since I think mine probably already think I'm a little "different" I had to refrain from continuing to read after almost snorting coffee through my noise reading the above. 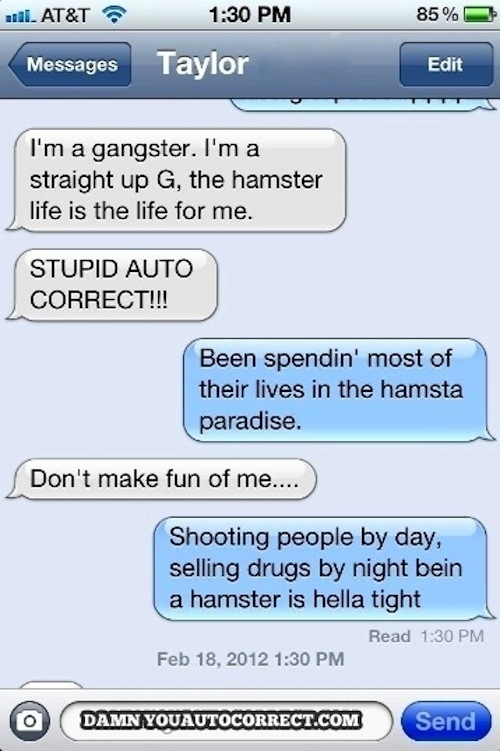 And I'm quite sad that nobody has posted a parody video of Coolio's Gangster Paradise featuring hamsters. If anyone creates, or finds one, hook a girl up! OMG, It's been too long since I've been here! Haha I love reading these! So hilarious. This one is preeeeetty amazing!